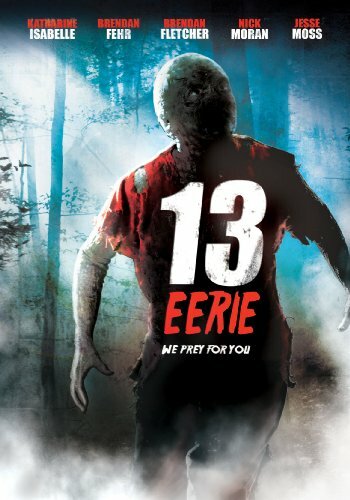 13 Eerie finds six ambitious forensic undergrads are pitted against one another on a scientific expedition to a remote island, vying to win an esteemed trainee position with the FBI. Unbeknownst to everyone, the site was formerly used as an illegal biological testing ground for life-term criminals who were left for dead. Now, before the undergrads even begin their experiments, the zombie criminal convicts are systematically hunting them down and what started as a fight for an esteemed career in the FBI has become each student's fight for his very life. Katharine Isabelle (Freddy vs. Jason, Insomnia), Brendan Fehr (Final Destination, X-Men: First Class) and Brendan Fletcher (Freddy vs. Jason, 88 Minutes) star; the DVD also features a "Making-of" featurette.